We had a great day out on the National Mall! It was sunny, there were about as many cars as our permit would allow for, we had an excellent group of volunteers and EV owners on hand, and everyone had a fun time talking to each other and the public about the movement to electrify transportation. Our headquarters area was staffed from 10 a.m. until 4 p.m., providing 6 hours of EV related fun and education. At least two local Sierra Club chapter representatives were available at all times, enabling us to promote other green initiatives as well. We also had a local clean energy startup company, called Ipsun Power, come and display some of their tech and ideas. There were at least a few serious conversations with prospective EV buyers about the range of options and benefits. 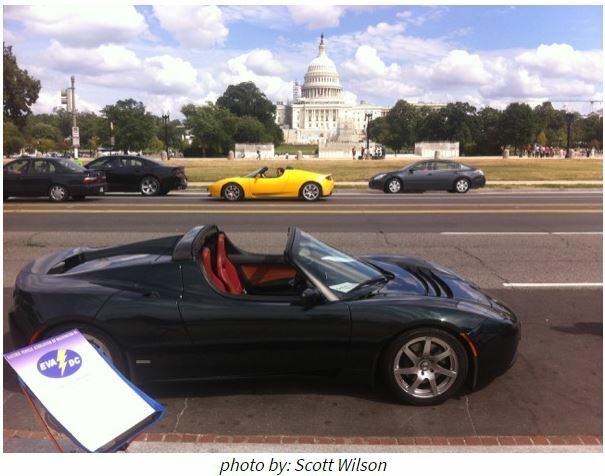 At around noon we gathered everyone up for pizza and a few comments by representatives from the Electrical Vehicle Association of Greater Washington DC and the Sierra Club. Want to stop buying gasoline, or buy a lot less of it? Come learn about electric vehicles! We’ll have owners available to answer questions! See several models of plug-in cars in one place, for easy comparison. 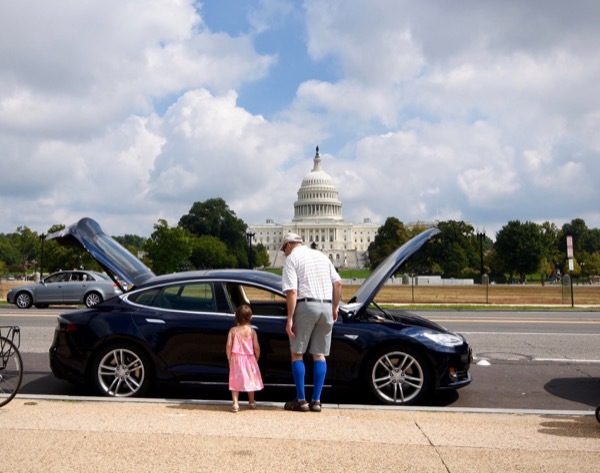 Nissan Leaf, Chevy Volt, Tesla Model S and many more. 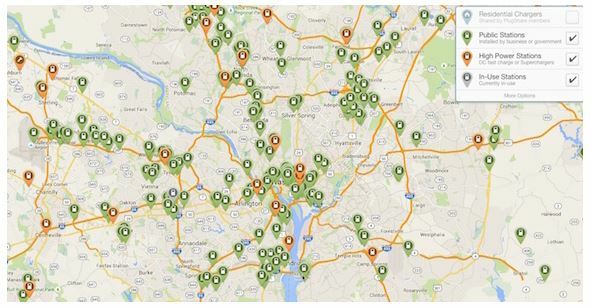 Find out what incentives are available in DC, MD and VA. Registered attendees report 551,520 electric miles driven.